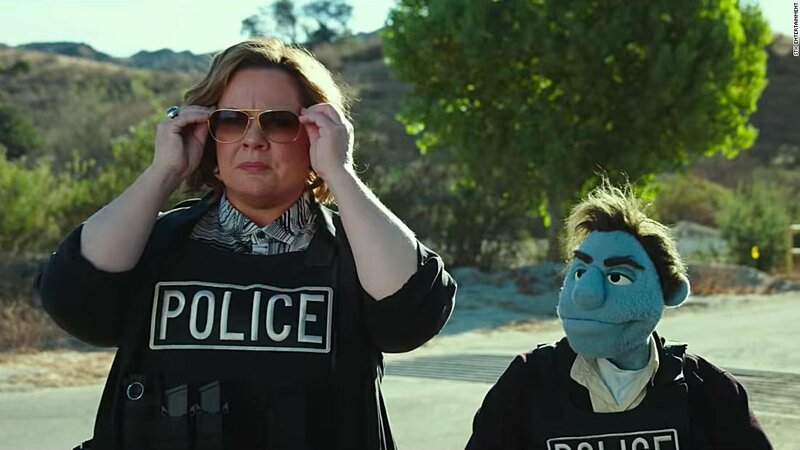 "The Happytime Murders" finder sted i LAs allerdybeste afkroge, hvor dukker og mennesker lever blandt hinanden. To detektiver - et menneske og en dukke - bliver tvunget til at arbejde sammen for at finde ud af, hvem der brutalt slår de tidligere medlemmer af det engang så elskede og populære dukkeshow - "The Happytime Gang" - ihjel! 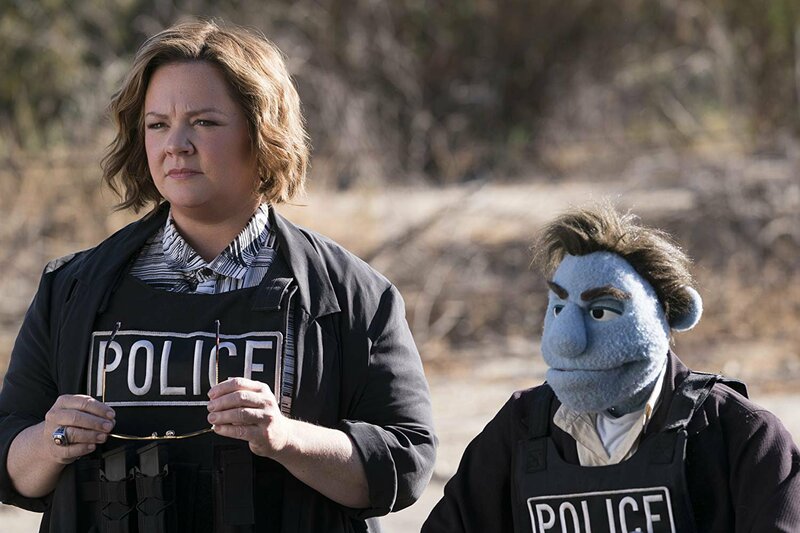 Talented comedian Melissa McCarthy is Detective Connie Edwards in this black comedy crime puppet show where humans and puppets live happily together. 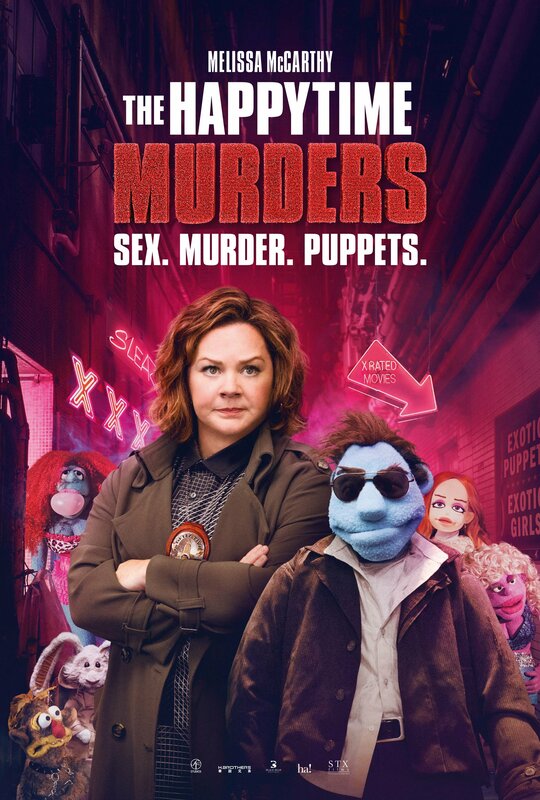 Her ex-partner Phil Phillips was the first puppet cop on the Los Angeles Police Department (LAPD) before persuing a private detective career. 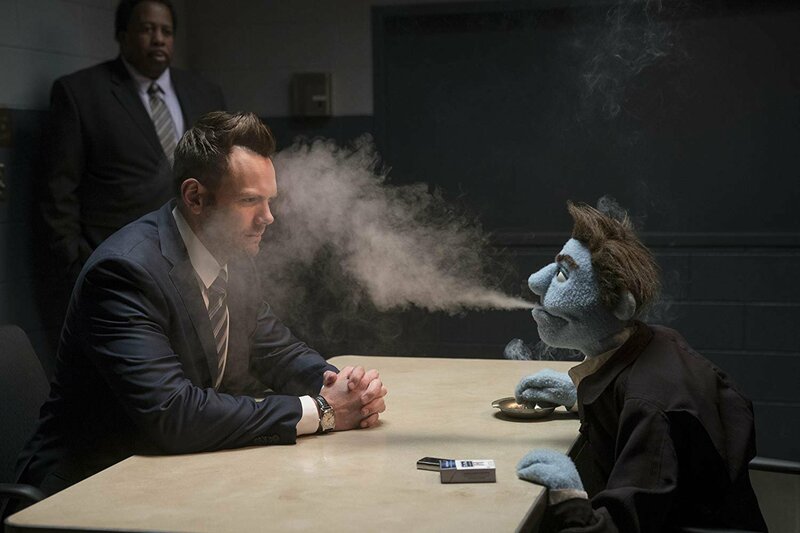 Phil, who has a human secretary called Bubbles, receives an unpleasant order. 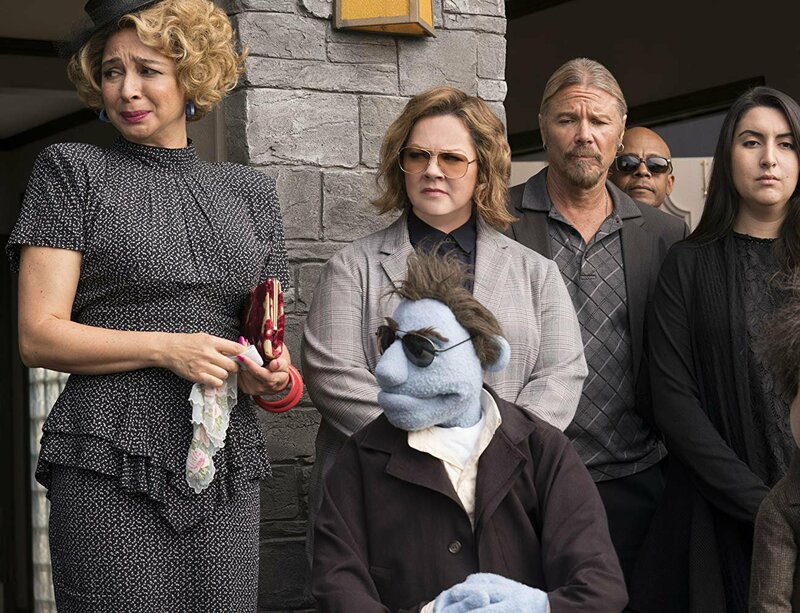 Sandra, a puppet, wants to know who has been blackmailing her for some time. 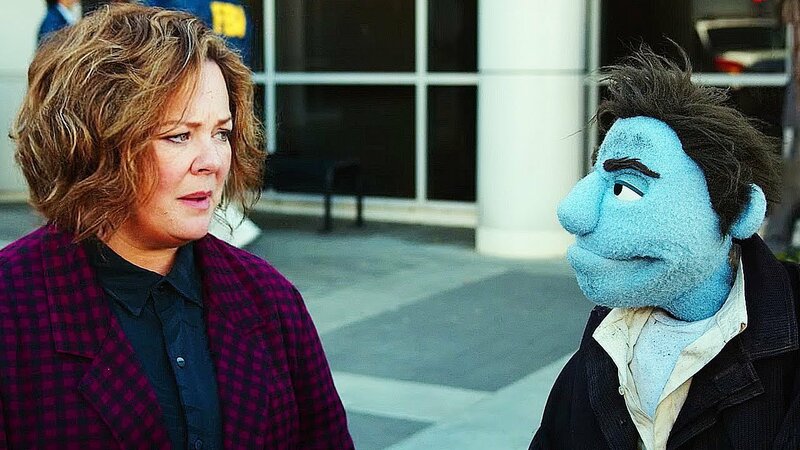 As it often happens in human reality, there's more than blackmailing here. 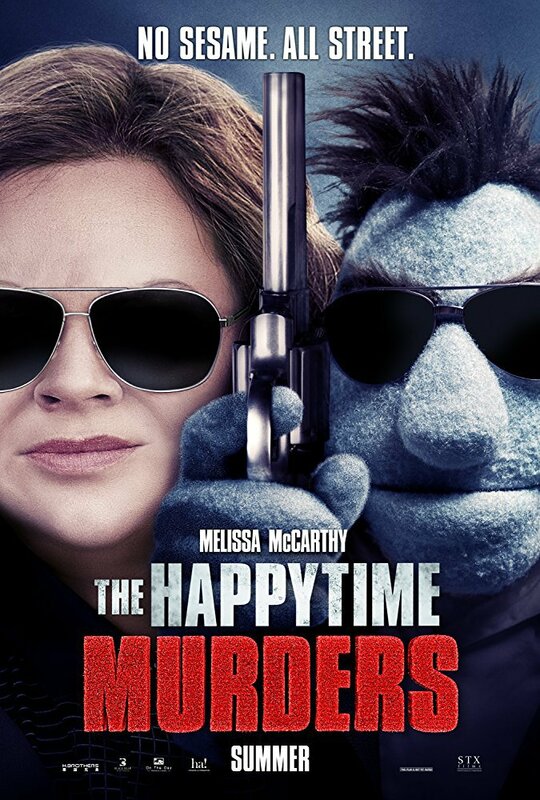 The puppet cast of the sitcom "The Happytime Gang” begin to get murdered one by one, and Phil takes the chance to prove himself as a capable investigator of a very peculiar criminal case.